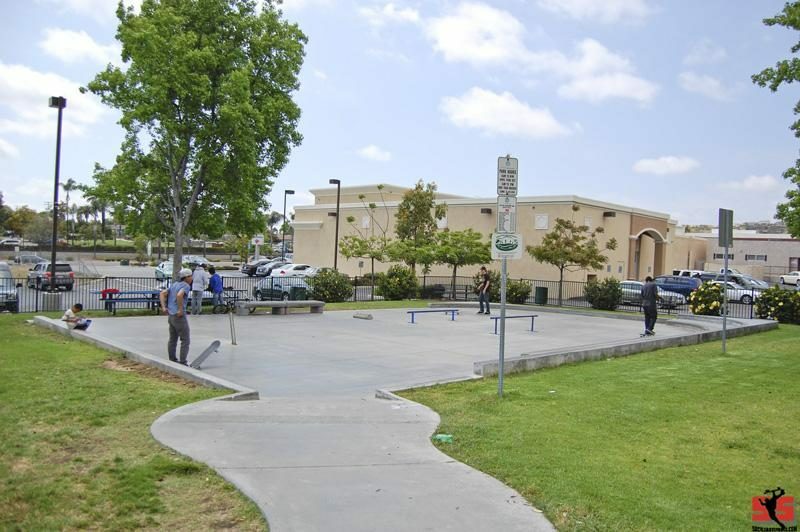 Lemon Grove Skate Spot looks like a something a young skater might put in his parents driveway. Not alot going on with this park but if your in the area stop by for a laugh. I grew up skating in LG, right near this spot. Looks like much has not changed regarding the attitude towards skaters. What a POS!!! Most kids just hit up the middle school across the street that is loaded with steps, rails, etc. I don't blame them. We used to to the same thing back in the day. Perfect example of what happens when the Historical Society designs your skatepark.